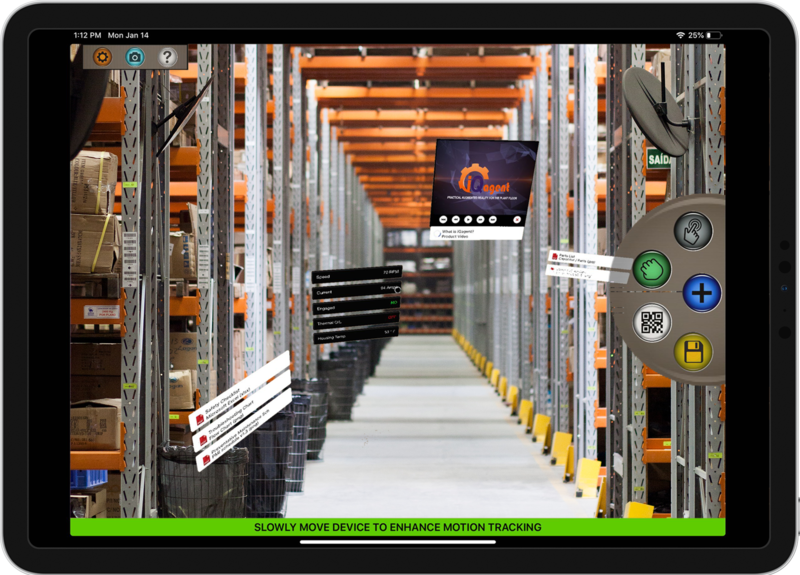 iQagent is an award-winning industrial software product created to increase plant floor efficiency and reduce unplanned downtime. View live process data and resources relevant to what you’re working on instantly on your mobile or wearable device. 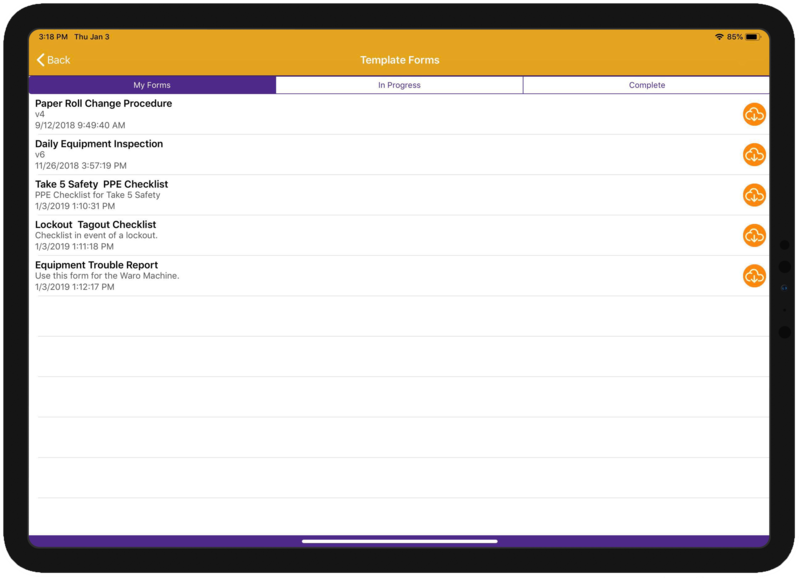 We also have a forms and work instructions creator, process notifications, and AR Procedures. You can see iQagent work on your own device in 90 seconds! Download iQagent from the App Store to your mobile device. Launch the iQagent app on your mobile or wearable device. Scan a QR code from our demo kit to see simulated Points Of Interest (POIs). View live data, schematics and videos. Complete work instructions. Send snapshots and videos from app to team members. Use this to quickly create Points Of Interest (POIs) for your plant floor or industrial application. POIs are linked to live data via OPCUA, OPCDA and ODBC, as well as URL links to documents, videos, forms. Use our Form Creator to quickly create forms and workflow procedures and link them directly to your POIs. Print the POI (QR Codes) and place them near the equipment they represent, or simply ‘map’ your existing asset barcodes on the equipment to the POI. 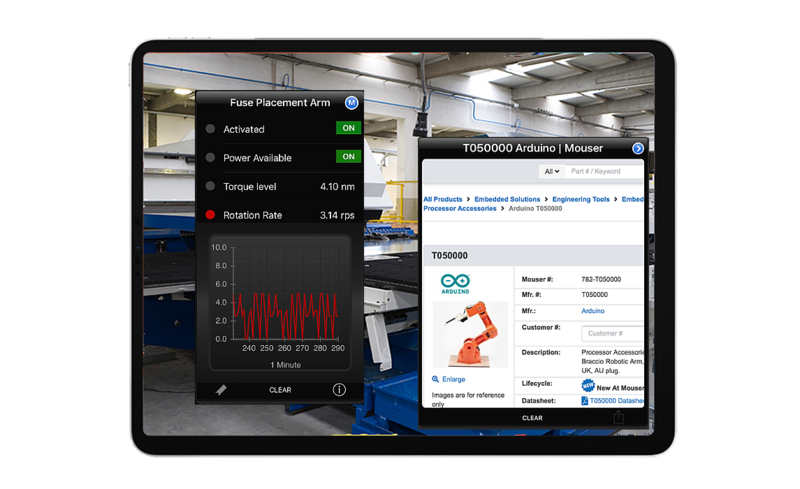 Just launch the iQagent app and point your device camera at the equipment POI to display relevant process data and resources. You can bookmark POIs for easy access, as well as display any POI quickly from a menu. Capture and annotate video or snapshots and email to colleagues for quick collaboration. As industry advances from mobile to wearable technologies, future proof your investment with iQagentAR. We utilizes Apple's ARKit and Microsoft HoloLens' Mixed reality solutions to bring the iQagent experience into Augmented Reality. As your company adopts wearable devices, you'll know that iQagent already has proven software for them. 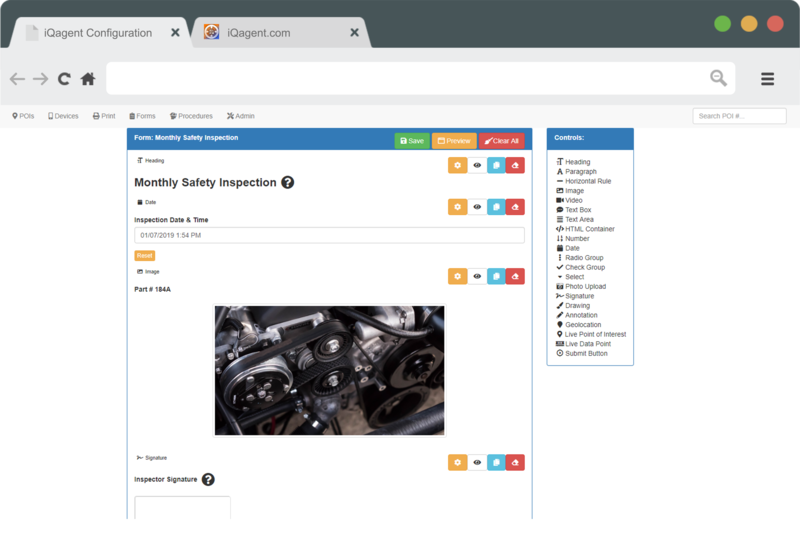 Included with iQagent Enterprise, this easy to use interface allows quick creation of forms and work procedures such as PMs, trouble reports or daily equipment inspections. Use required fields and data validations to ensure they are filled out completely and correctly. Use display rules to hide or show questions based on previous responses. Forms can also contain instructional videos and live data readings to help workers quickly complete tasks. Forms can be submitted via any mobile device browser, or using the iQagent Forms mobile app. 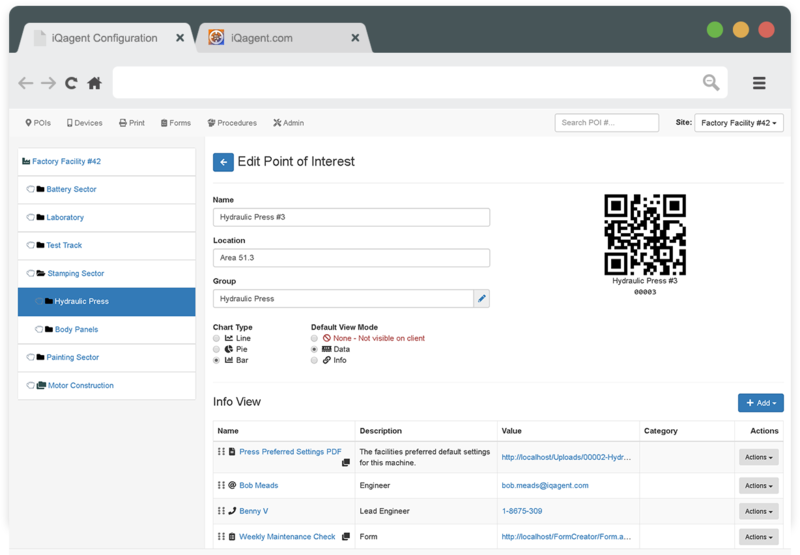 This companion app allows users to download and complete forms created in the iQagent Forms Creator. Step through Form questions one at a time, ideal for smaller screens. Save a form and complete later. Forms can be completed offline then uploaded when device reconnects to network. We won't share your data. Ever.